To develop a clinical education programme to deliver better clinical involvement and co-operation between General Practitioners and hospital Consultants. To develop a consortium based Patient Liaison Group in order to engage with our patients to work together on shaping future services in general practice. To develop communication links with patients about the services being delivered and issues relating to the delivery and use of them; this may or may not be directed by local and national policies. Optimus intends to develop the new services in line with the new NHS environment and ensure that the patients of its practices receive the best care in a quality assured environment. Ensuring evidenced based best practice and accredited quality standards. The practices want to ensure that they maintain and build on the high quality core values of traditional general practice; such as continuity of care, family based medicines and the familiarity that patients have with their own known GP practice. This does not mean old fashioned services, it means modern and evidence based services provided with traditional patient focussed values. Optimus, as they develop, will provide their patients with a ‘Kite Mark’ that reassures them of the quality of standard of care they can expect from their practice. 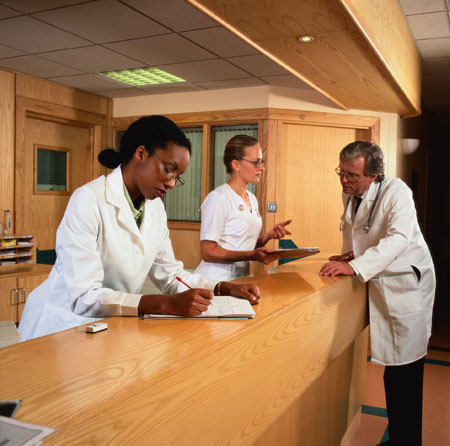 Optimus believes that the most important relationship is between the patient and the practice team. GPs and their staff talk regularly to their patients on an individual basis, but this is mostly about their health care. In developing the Patient Liaison Group, we want to expand this conversation onto a wider level – on a continuing basis about our services, ensuring that patient’s collective views are represented. It is hoped that the Optimus Patient Liaison Group will meet 4 times a year and during that time develop in a way which both meets the needs of, and listens to the views of the patients of the practices. The Optimus Liaison Group is not a group to deal with disease specific issues, such as Diabetes. Different groups exist for that; such as Diabetes UK. The Optimus Patient Liaison Group is to ensure that the practices as a group engage with their patients and work together on future developments, which may include different services for different healthcare issues, but not about the healthcare issue itself. The patients of the Liaison Group should contact their own practice manager to discuss Optimus.